Hide deals from seller "Cartridge World Tinley Park"
Limit 1 per person and 1 per transaction. Valid toward all products and services. Valid at Tinley Park location only. Promotional value expires 90 days after purchase. Avoid handwriting everything with this deal for 50% off printer products and services from Cartridge World in Tinley Park ($20 value). 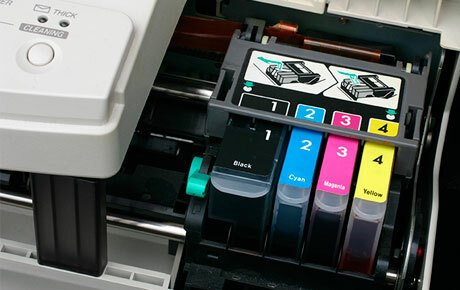 This specialty retailer offers a variety of products such as ink, toner and cartridges that ensure that your printer is running smoothly. Cartridge World has set its print across the globe with more than 2,000 stores in 62 countries that provide high-quality products at affordable prices. They handle most major brands including HP, Canon, Dell and more. Their recycling programs continue to keep print cartridges out of landfills while raising money for local schools and organizations. Be environmentally friendly with this printing deal. A retail chain in Tinley Park that sells ink, toner and printer cartridges.